PRIX EUROPA MasterClass in Berlin: Connecting Europe – Reflecting all Voices! Major single piece and serial television documentaries from different countries provided the focus of a conversation about experiences with international co-productions. Georg Tschurtschenthaler (Germany) told the audience how Gebrüder Beetz found international co-production partners and financing for their documentary ‘The Cleaners’ about the people who ‘clean’ the Internet; Eric Lieshout (Netherlands) introduced his series ‘Made in Europe’; Stéphane Siohan (France) talked about the complex media co-operations on his Ukrainian, Polish, French documentary ‘Home Games’; Daniela Drastasta (Croatia) and Frans Jennekens (Netherlands) presented a sneak preview of their just completed series ‘New Neighbours’ and Sören Klovborg (Denmark) spoke about working with the Why Foundation on the documentary ‘Maid in Hell’. The conversation was hosted by Ruurd Bierman, an acclaimed keynote speaker. A unique chance to compare notes with other experienced filmmakers, to ask questions and share experiences. PRIX EUROPA MasterClass in Berlin: How to survive on the choppy seas of independent radio/audio production? How to survive on the choppy seas of independent radio/audio production? with Belgian master students (Royal Institute for Theater, Cinema & Sound) and Swedish master students (Stockholm University of the Arts). A unique chance to compare notes with other experienced radiomakers, to ask questions and share experiences. This is a unique opportunity to gain inside knowledge about how broadcasters are making a success of their digital projects. Kirsty Drain (Senior Producer at BBC Scotland), will tell the success stories of ‘The Social & The Social 2.0’ under the heading: ‘Successful digital diversity on social media – and beyond’. Manuel Thalmann (programme developer for young target groups at the Swiss SRG SSR) will explore ‘Public Service on Youtube’. Meet SRG SSR (Schwitzerland), FUNK and RTS TAKAI. And Kåre V. Poulsen (executive producer at DR, Denmark) will present ‘The relation triangle: Successful mixtures of cross media, co creation and partnerships’. In addition, he will present a selection of examples from Submarine Channel (The Netherlands): Advanced learning on Digital storytelling 2012-2018. Kåre V. Poulsen and Manuel Thalmann, Coordinators of the PRIX EUROPA 2018 Online Jury Group, will moderate the conversation. On 7 and 8 November 2017 in Vilnius a small group of highly motivated journalists from Lithuanian Radio (LRT) took part in the PRIX EUROPA MasterClass. In two days, a freshly coined tutoring team Edwin Brys from Belgium and Agnieszka Czyzewska-Jacquemet from Poland (see tutor info below) covered basic ingredients of radio documentary - from the seemingly simple, but fundamental question ‘What is radio documentary?’, to finest details like how to use music to create worlds for your characters, or how to – literally – get closer to your interviewee to get top quality recordings, without ‘attacking’ their private space. What makes a story relevant? How to use scenes? Do you need a narrator? Where do you find your protagonists? How do you keep listeners’ attention? Those were some of the questions that Edwin and Agnieszka tried to illuminate on the first day, with the help of compelling sound examples and real-life anecdotes. Focusing on storytelling and dramaturgy, the second day was organised like a PRIX EUROPA: the presentation of Agnieszka’s ‘Crap Business’ (Radio Lublin, 2016) and ‘Everyday Something Disappears’ which Edwin made together with Luc Haekens (VRT, 1993) was followed by a discussion, analysing both pieces. The discussion was moderated by Vaida Pilibaitytė, the initiator and co-organiser of the MasterClass in Vilnius. Finally, the MasterClass was rounded off with a pitching session - participants were invited to share their ideas for programmes, to brainstorm, think of opportunities, possibilities, and challenges. Compact and functional, we hope to bring this MasterClass to a number of radio stations that could benefit from such combination of theory, practice and - inspiration. Also, we are looking forward to follow development of the Vilnius feature hub, and hope to play many of their programmes in the future editions of PRIX EUROPA! After a career as a radio documentarian and head of the Radio Documentary Department at the VRT (Vlaamse Radio- en Televisieomroep), Edwin Brys lead the Radio Training Department there. 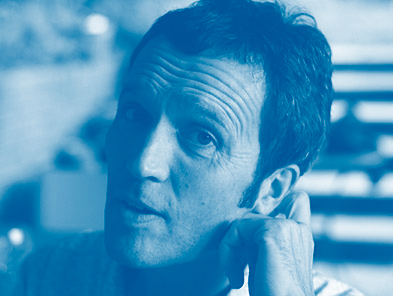 He teaches radio documentary radio at the Institute for Drama, Radio and Television in Brussels, and is a member of the European Broadcasting Union (EBU) Radio Documentary Project Group and the International Features Conference. Agnieszka Czyzewska-Jacquemet has been working at the Features Department of Polish Radio Lublin, specializing in documentaries and features since 1993. Agnieszka received a Radio Documentary Maker of the Year award in 2014. Her feature “Crap Business” got Prix Europa Special Commendation in 2016. A feature “Marble and Children” which she co-produced with Katarzyna Michalak won Prix Bohemia In 2017. 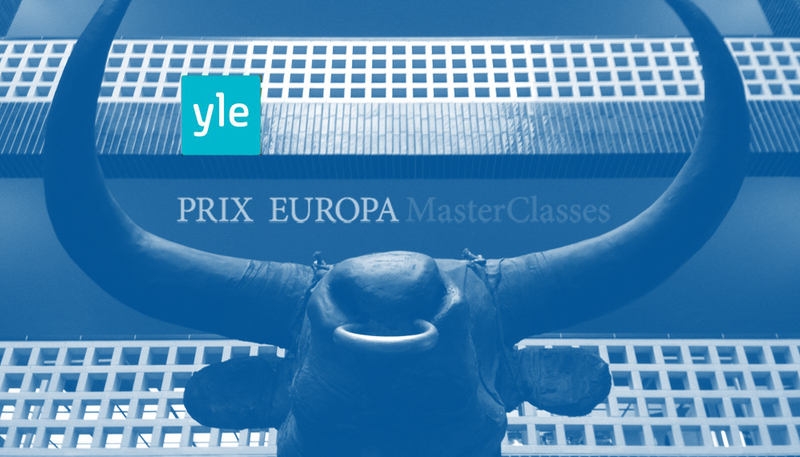 The 30th anniversary of PRIX EUROPA is accompanied by series of MasterClass workshops across Europe. Our last stop was Prague, where the Czech audiences were introduced to the best of European TV Fiction. On 3 and 4 December a total of ten television shows from the PRIX EUROPA 2014-2016 festival programme was screened in the Světozor cinema. The MasterClass started on Saturday, 3 December, with an introduction from Jan Maxa, Czech Television director of programme and format development, and Susanne Hoffmann, PRIX EUROPA festival director. This was followed by a screening of selected films and episodes of series and miniseries by European television stations. The Czech Television representative Eights, a winner of the PRIX EUROPA award for the best European TV drama of the year 2014, wrapped up the MasterClass. PRIX EUROPA - in collaboration with the Nordic Embassies in Berlin, Electronic media school - ems and XEN.ON TV - have the pleasure to invite you to the PRIX EUROPA Masterclass in Berlin on Friday, October 21! The 30th anniversary of PRIX EUROPA is accompanied by series of Masterclass workshops across Europe. In Berlin our focus will be Nordic Storytelling – tackling the topic from various angles and fresh perspectives. We have the honour to bring experts from all the Nordic countries on stage. The masterclass is free of charge and will be held in English. The registration is now closed as we have reached full capacity for the Masterclass! Thank you! See you all on Friday! VR and 360-degree video are one of the most hyped technologies at the moment. What hides behind the concepts? Why is VR important for us in the media industry? Using stories at the mobile games to support the engagement of the users and the business goals of the product. How Iceland has created a booming and compatible film and TV industry from limited resources. In the golden digital age of the radio documentary the times are rapidly changing. But some things never change. The Danish Drama Strategy: In the Past, the Present and the Future - and a Unique Look into the Writers’ Room of the Danish Hit Series, The Legacy. To celebrate the 30 years of PRIX EUROPA jubilee and the 20 years of TV IRIS category – PRIX EUROPA in cooperation with NTR and Mediafonds organised a Masterclass focusing on “Diversity and Development of Talent” in Amsterdam on September 5, 2016. The event was hosted by Anousha Nzume and gathered around 80 participants working in the field of media in the Netherlands. Award-winning directors Gülsah Dogan, Hadja Lahbib and Meral Uslu had a lively discussion with the audience about their successful films and the important role of diversity in film making and storytelling. The day also included a sneak preview to the Dutch nominations for the PRIX EUROPA TV IRIS Category 2016 – competing for the Best European TV Programme of the Year about Cultural Diversity. The Head of Strategy of NPO Anne-Lieke Mol gave a presentation about the plans to make a new fund for filmmakers as the Mediafonds is closing its’ doors this October. The masterclass closed with a panel discussion about the future of diversity in Dutch film and television - how to promote and include this complex topic into the industry of film making. The panelists included Adriek van Nieuwenhuyzen (Head of Industry IDFA), Dorien van de Pas (Head of New Screen Film Fund), Claire van Daal (programmer Dutch Film Festival NFF) and Bart Römer (General Manager of the Dutch Film Academy). Prix Europa MasterClass in Helsinki! The focus on this Masterclass will be VR and 360 videos - on both - the technical and storytelling side of these very hyped medias. VR and 360-degree video is one of the year’s most hyped technologies. What hides behind the concepts? Why is VR important for us in the media industry? NRKbeta takes on the topic with examples, depth, humor and analysis. Eirik Solheim and Marius Arnesen take you all the way from games, through architecture, art, warfare and further to news, documentaries and video production. Klasien and Femke investigate the role of storytelling in our current timeframe. In their joint presentation they consider the lessons of previous projects, discussing what lead to success and connect these to their case studies on online storytelling, mobile technology and mixed reality. As founders of the Interactive Storytelling Meetup in Amsterdam they will share the results of a half year of meetups presenting the highlights and trending topics. Klasien van de Zandschulp, Femke Deckers, Mikko Pöllä, Eirik Solheim & Marius Arnesen. Combining all of the expertise of these digital experts, we’ll discuss about digital storytelling, especially in VR. We could discuss about technology for hours and hours, but how do we produce the core - stories for our online projects? What are the difficulties in scriptwriting, planning and the actual making of projects that try new technologies, such as VR? What are the possibilities and what is actually possible at the moment? Finnish scriptwriter Mikko Pöllä will join the conversation and bring in the point of view from the world of fiction. Mikko will pitch his new series idea before the panel. Mikko is developing a series which is based on a whole new virtual reality world which is not yet possible, but how long will it be impossible? We will post more detailed information about the speakers, videos and a full recording of the event on the site so in case you cannot make it there you can still follow this masterclass. PRIX EUROPA will tour to broadcasting houses in Stockholm, Gdansk, Dublin and Amsterdam. The concept of radio is being redefined. Swedish Radio is the leading player in terms of innovation -both journalism, digital and technology -to be relevant to a large audience in the changing media world. What is radio today and what will it be tomorrow? Welcome to a Master Class where we will talk about our strategies, challenges and approaches. • Tomas Granryd, project manager for the Innovation team - new ideas for how to reach the audience. • Cajsa Lindberg, channel manager for P3 that gives a picture of how we are working to reach the young audience. • Kodjo Akolor, the hostess, who among other things, speaks of one of our most digital projects - Musikhjälpen. • Camilla Jettman, head of the development department on how we together with others produce technological innovations for digital journalism. 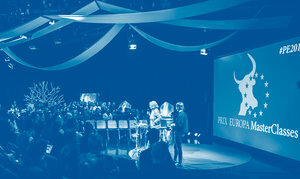 The 30th anniversary of PRIX EUROPA is accompanied by series of Master Class workshops in five countries across Europe. In Poland, the leading issue of the Master Class is investigative journalism on Friday 10 June, 2016. Showing the work of laureates of PRIX EUROPA from recent years should ignite discussion on condition of public service journalism in Poland as well as in whole Europe. It will also be a great opportunity to learn from each other. We welcome you in Gdańsk – the city where “Solidarity” was born, where work of courageous reporters let the world hear the sound of Polish freedom! 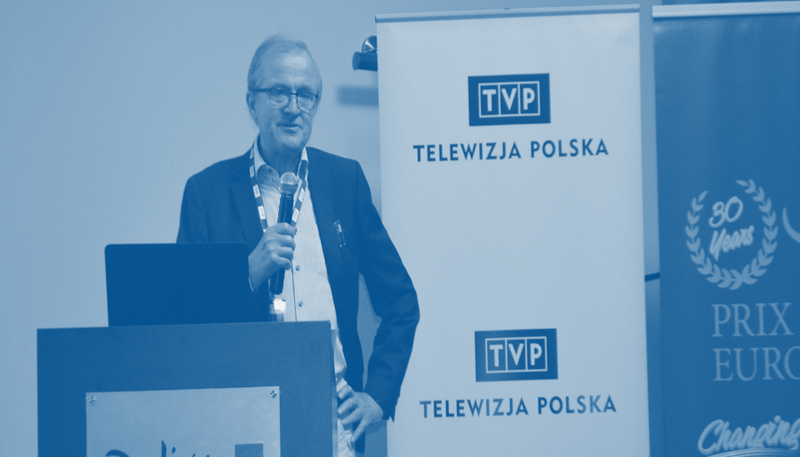 Maciej Stanecki, Member of the Management Board, TVP S.A.
Public service media as a watchdog: Some examples from Sveriges Radio. Copyright © PRIX EUROPA. All rights reserved.